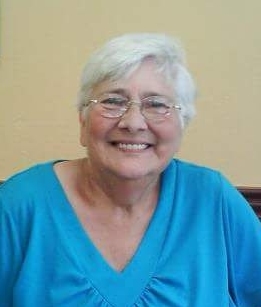 Obituary for Sue Ann Toberg | Ralph Meyer & Deters Funeral Home, Inc.
Sue Ann Toberg (nee Schwartz), beloved wife of the the late John D. "Denny" Toberg. Devoted mother of Christopher J. and Matthew P. Toberg and Dawn M. Burtschy, all of Cincinnati, Tracy L. (Mark) Myrus of Aurora, IN and the late Lori Ann Toberg. Loving grandmother of 8 grandchildren and 9 great-grandchildren. Dear sister of the late Francis X. and Robert J. Benoit and Mary Elizabeth Griffin. Unexpectedly, Monday, March 25, 2019, age 78. Visitation Thursday, March 28, 10:00am-12:00pm at Ralph Meyer & Deters Funeral Home, 4164 W. 8th Street, Price Hill. Words of remembrance will follow at 12:00pm at St. Joseph Old Cemetery, 3819 W. 8th Street, Price Hill.